Rodell Rosel will participate in Das Rheingold from 02/11/19 through 05/11/19 (Metropolitan Opera Association). Rodell Rosel will participate in Siegfried from 03/11/19 through 05/11/19 (Metropolitan Opera Association). In recent seasons, he has appeared with Los Angeles Opera as Spoletta, Monastatos, and Bardolph, and with Houston Grand Opera as Mime in Das Rheingold and Siegfried. Last season, he returned to Chicago as Mime and Monastatos, Los Angeles as the 1st Jew in Salome and as Spalanzani in Les Contes d’Hoffman, and made debut appearances with Seattle Opera as Monastatos and Goro. 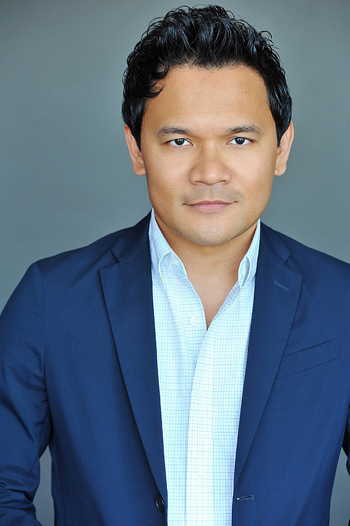 The current season includes returns to the Lyric Opera of Chicago as Pang in Turandot, Florentine Opera of Milwaukee as Njegus in The Merry Widow, and debuts with Kentucky Opera as the Dancing Master in Ariadne auf Naxos and Arizona Opera and Fort Worth Opera as Loge in Das Rheingold. This season, he will sing Mime in Taiwan and return to the Metropolitan Opera for this role. Future seasons will see him in productions of The Magic Flute and Les Contes d’Hoffman at the Royal Opera House, Covent Garden and return to the Lyric Opera of Chicago for Madama Butterfly and to Los Angeles Opera as Curzio in Le Nozze di Figaro..